This full day sea kayak tour will explore the coastlines of Seal, Penguin and Bird Islands spotting for dolphins, plentiful birdlife, including pelicans, ospreys, cormorants and sea eagles, as well as the cheeky sea lions. As the male sea lions return from the northern breeding islands peak numbers are expected between June and August. 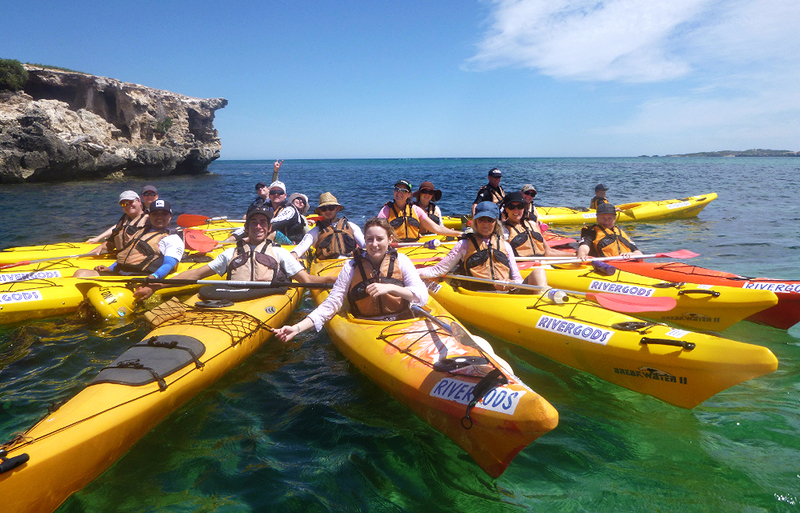 Our bus departs Perth daily to Shoalwater Bay where we introduce you to your stable double sea kayaks. These are easy to paddle and allow you to see Australian Sea Lions in their natural environment. These playful creatures love to swim and splash around your boat along with the dolphins. We'll also stop off for a healthy picnic lunch prepared by your guide at Point Peron and explore some amazing rock formations, and breathtaking natural beauty. Transport is included from the city or meet us down there at the Arcadia Drive carpark.